Porch Light People: Individuals who are fully themselves. They are not influenced by "shoulds" from the culture or other people. They instead live from their inner light. 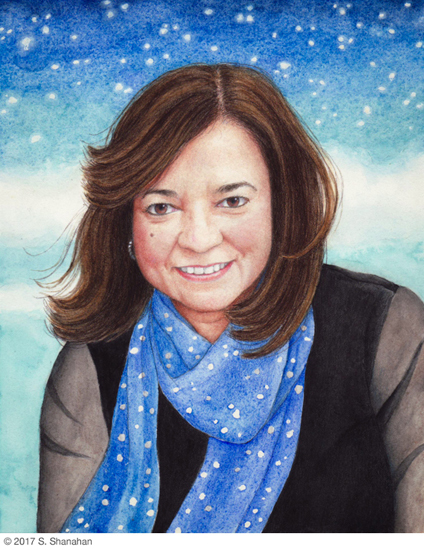 My first Porch Light Profile is about New York Times best selling author Anita Moorjani. 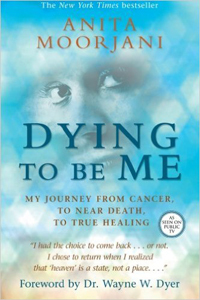 I chose her because her book, Dying to Be Me: My Journey from Cancer, to Near Death, to True Healing, is one of the most compelling memoirs I've ever read. The book details the author's spontaneous healing of stage four Hodgkin's lymphoma after a near-death experience (NDE). As she lay comatose, her organs shutting down, she "crossed over" to an indescribable realm of love and clarity. In Heaven, she was reunited with loved ones who had passed away. From them she learned she had the choice to return to Earth. They told her if she went back, her cancer would rapidly heal. All she had to do was to live her life fearlessly. What that meant was to love herself unconditionally and be who she was moment by moment. Reading about Anita's spontaneous remission from cancer was awe inspiring. Even more fascinating to me was what she learned in her visit to the other side and how it played out when she came back to Earth. Before her NDE, Anita didn't live by her inner light. In fact, she was very much disconnected from that source. Raised in Hong Kong by Indian parents, she learned to deny her true self at an early age to fit in. She had been people pleasing for so long that the first thought that came to her when she was diagnosed with cancer was, "Good, now I have a reason to take care of myself." In my phone conversation with Anita, she assured me that if we all listened to our inner voice and did what felt right, our lives would unfold better than we could ever imagine. In her case, sharing her NDE on an internet forum lead to her getting a publishing contract. After her book's release, Dying to Be Me, quickly hit the New York Times bestseller list. Its has since been translated into 45 languages and has sold over one million copies worldwide. English film director and producer Ridley Scott's company has optioned the rights to make Dying to Be Me into a full-length feature film. Anita believes that we are all born connected to an inner guidance system but it gets conditioned out of us. We are taught from a young age to get our validation externally rather than internally. We give our power to people and cultural belief systems that dictate how we should live our lives. If we are constantly trying to be what other people want us to be, we end up not living our own life. Anita's experience in the heavenly realm set her free from all of that. When she came back, she knew that all she had to do was to be herself and follow her joy. I wondered if living life that way means you never have problems. Anita said that you do, but the problems you attract from following your heart are like a check and balance system to put you back on course. When you resolve them, they take you to the next level of your deepest self. When I asked Anita if we all had a calling she said, "Yes. We all come here with a destiny, but many of us lose our way." She believes that not being true to ourselves is a kind of spiritual crisis, and that can lead to conditions like depression, addiction or even cancer, like she had. Our only purpose in life is to be who we are. When we do that, our highest potential unfolds before us. According to Anita, charting your course limits God. Getting out of the way allows life to draw in gifts and solutions that we never dreamed existed. There's good reason for my attraction to Anita's story. I've struggled for years trying to promote my gifts to the world. All my chasing and pursuing has only taken me so far. Reading Dying to Be Me gave me pause to consider that perhaps I've been living life backwards. In writing my Porch Light Profiles, I'm trading in industry goals and marketing plans to instead come from my own center. For me, this series is important work. It's my heart's longing to know itself. As time goes on, I hope to confirm what Anita learned on the other side. If Porch Light Profiles really are a product of my inner light, then the stories I share will attract readers who need to hear their message. Inspired, they will turn inward and begin to listen.